Montauk Residence :: IRUKA shou sugi ban Cypress - reSAWN TIMBER co. Located a block from the beach in Montauk, NY, this home was designed to promote family interaction with easy flow between indoor and outdoor activities and clear sight lines across large sections of the home. The house facade is a combination of exposed concrete and reSAWN’s IRUKA shou sugi ban charred cypress. The color and texture of IRUKA helped reference vernacular Montauk architecture while articulating an iconic, crisp, modern form. The wood wraps into the interiors, framing the living spaces on the upper floor and cascading down the staircase to the family room. 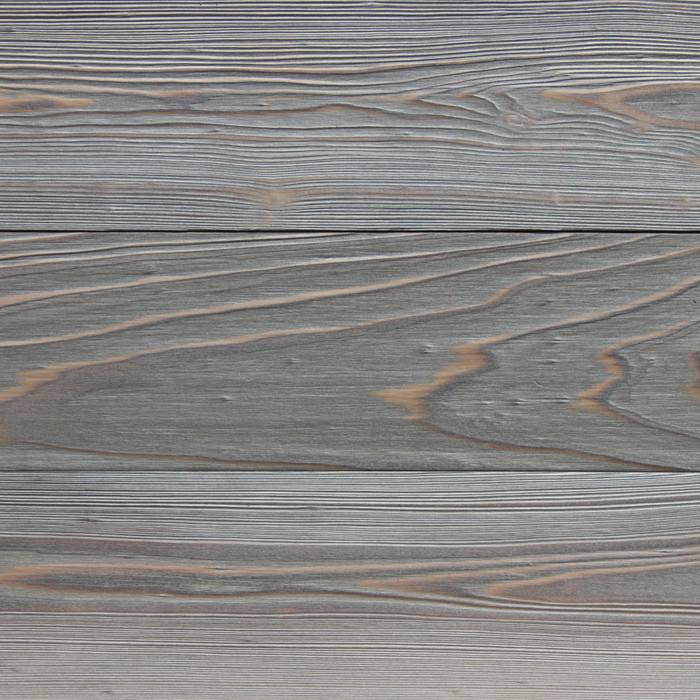 IRUKA features CHARRED CYPRESS burnt in the Japanese style of shou sugi ban. IRUKA can be used for interior or exterior wall cladding. For exterior cladding, we offer Select Grade. For interior applications, we offer #2 common and Select Grade. The higher the grade, the better it is felt the wood will perform, especially in exterior applications.